Former pro wrestler and author A.J. Mendez Brooks gives us the rundown on this Russian classic. Former WWE wrestler A.J. Mendez Brooks and author of the memoir Crazy Is My Superpower has dealt with many things in her life: poverty, loneliness, and a mental illness diagnosis. But one thing she hasn’t done? 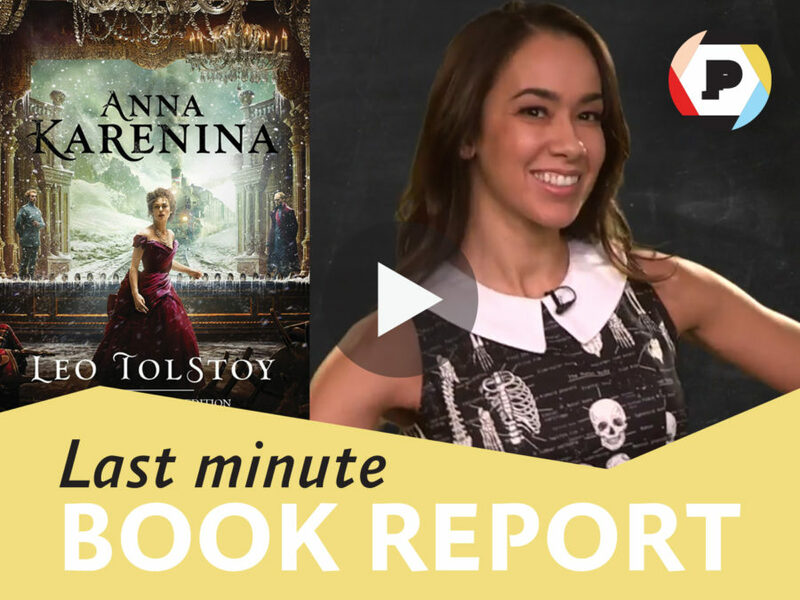 Read Anna Karenina. Watch the badass athlete take ten minutes to skim the book, then give her best guess as to what the plot is about. Her summary includes Johnny Depp, the Young Pope, and purple roosters. Oh, and who knew there were so many cats involved? Want more from A.J. Mendez Brooks? Pick up a copy of her memoir Crazy Is My Superpower, below. A.J. MENDEZ BROOKS is a former WWE wrestler and three-time Diva champion under the ring name AJ Lee. She is an animal rescue ambassador for several organizations including the ASPCA, and works with Girls Make Games, a program encouraging young women to pursue science and tech-based careers. She lives in Chicago with her husband, Phil ‘CM Punk’ Brooks.